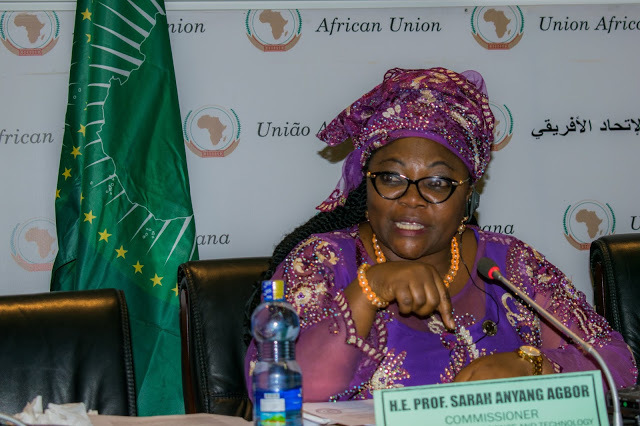 In the recently press briefing done by the Commissioner for Human Resources, Science and Technology (HRST) at the African Union Commission, Professor Sarah Anayang Agbor, update was given on the status of the African Space Policy and Strategy. The media briefing was part of the media engagement activities organized in conjunction with the ongoing 32nd African Union Summit. Prof. Agbor spoke to journalists about how the African Space Policy and Strategy is designed to positively impact the lives of people on the continent. The objective is to share information on the programmes and progress in activities being undertaken by various departments of the Commission. Read our chat with Prof. Islam Abou El-Magd, where he gave deep insight into the African Space Agency. “It will be the largest achievement for Africa in Space, which will stop any duplication and redundancy in space activities. It will properly implement the African space policy and strategy and achieve the continental goals. It will be the official space body that will take care of the coordination and implementation of the space policy. This will be great achievement to stop fragmentation of the space activities in Africa” – Prof. Islam. The African Space policy and Strategy was adopted by Heads of State and Government of the African Union to contribute to the realization of the African Union vision of an integrated, prosperous and peaceful continent, driven by its own citizens and representing a dynamic force in the global arena. The policy and strategy is also in response to the aspirations stipulated under Agenda 2063. As reported by GMES&Africa, the HRST Commissioner described space science as a global good essential in our everyday lives; including for our health, security, education, agriculture, communication and migration, among numerous other needs. She briefed the media on plans to establish an African Space Agency, including the selection of a host country for the body. Three countries have been shortlisted by an independent high level panel; among them, Egypt, Nigeria and Ethiopia and the decision on a host country will be taken at the ongoing Summit. A joint AU-EU operational programme is the Global Monitoring for Environment and Security and Africa (GMES and Africa), designed to contribute to the implementation of the African Space Policy and Strategy. The HRST Commissioner adduced that GMES and Africa is providing grants to regional and national institutions all over Africa to address water and natural resources, marine and coastal areas, as well as environmental issues, climate change and civil security, among other thematic areas. Commissioner Agbor also spoke on other important areas under her department’s mandate, and concrete steps being taken to introduce and implement key policy measures geared towards Africa’s sustainable development. Among these portfolios are the Scientific, Technical and Research Commission (STRC); African Observatory of Science, Technology and Innovation (AOSTI); Pan African University (PAU); International Centre for Girls’ and Women’s Education in Africa (CIEFFA); and the Pan African Institute for Education for Development (IPED).